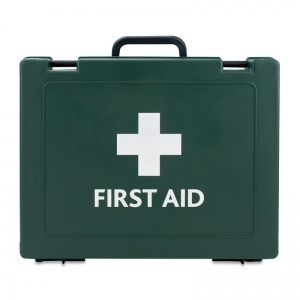 Sturdy and reliable, the Basic HSE Essentials Container (Empty) is the traditional, economic choice for keeping your first aid provisions safe. When looking to find a case to store all of your health and safety materials, sometimes simplicity is key. 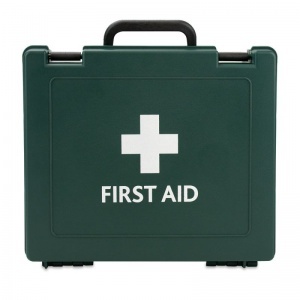 The Basic HSE Essentials Containers meet all the necessary requirements set by the Health and Safety Executive, providing a practical choice for a first aid container. This box comes with handles for easy transportation, and is designed to withstand the knocks and bumps of a busy workplace environment. The lid shuts tightly and securely, ensuring that all of your first aid gear is kept safe from dust or moisture, keeping things sterile and hygienic. 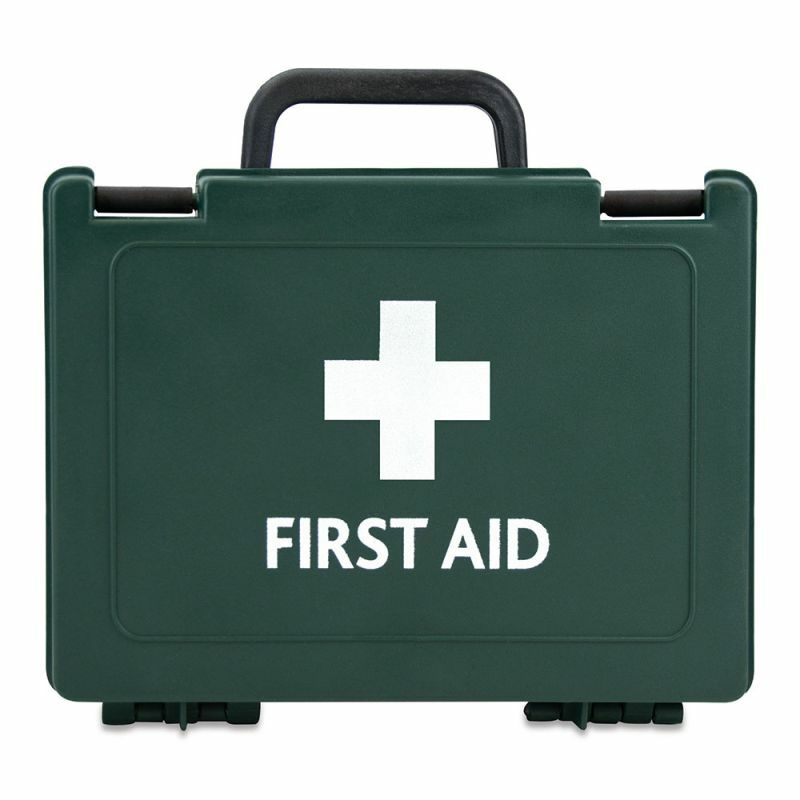 Each Essentials Container is coloured the standard dark green, printed with the easily recognisable first aid logo at the front of the box. 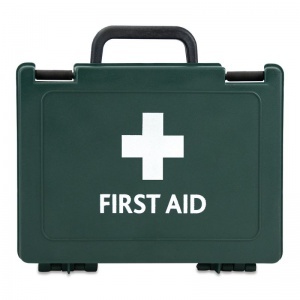 The case comes in different styles and sizes depending on the quantity of first aid materials required by your businesses; please see the sizing chart below for more information. These boxes can easily be stored away in your designated first aid areas, however are also available to be wall mounted using a Bulkhead Bracket (sold separately). Please be aware that the Basic HSE Essentials Container is supplied empty, and that first aid materials must be purchased separately. The Basic HSE Essentials Container (Empty) is usually dispatched via First Class Royal Mail and delivery should be within 1 to 3 working days.